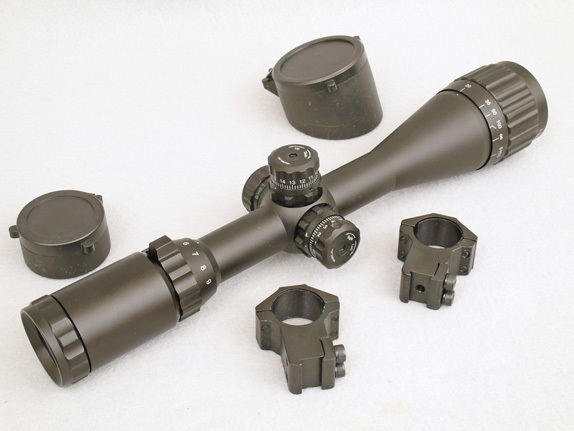 New Leapers UTG 3-9x40AO Scope Includes Airgun Rings. Leapers continues to increase its range of dedicated airgun scopes - models that include airgun rings in the box - with this new introduction. 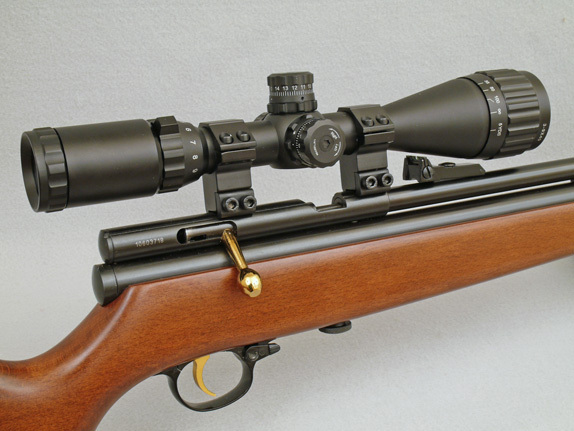 Above, this new scope fits well on the QB78 Deluxe air rifle. First shown at the 2013 SHOT Show, this new Leapers UTG 3-9 x 40AO scope covers probably the most useful magnification range for airgun scopes and is not too heavy. It balances this with a 40mm objective lens and an attractive price - particularly when you consider that a set of strong high airgun rings are included in the box. The Leapers code is SCP-U394AOLD. 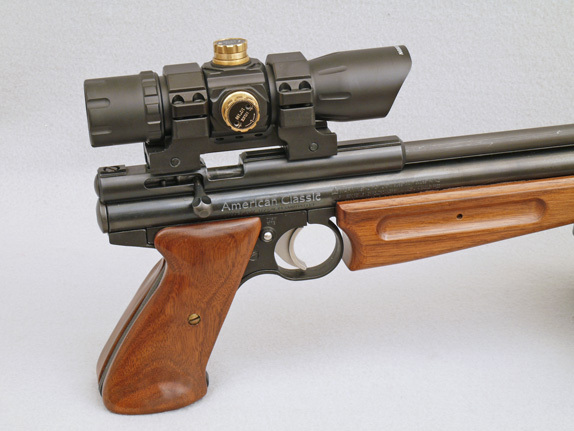 Apart from the airgun rings, other airgun-specific features include an Adjustable Objective (AO) with the very close focusing distance of just 5 yards. There's also the necessary mil dot reticle which Leapers includes in all its scopes and which is so useful for airgun shooting. This new 3-9x40AO scope is built on Leapers' True Strength platform which braces the lenses against the forward recoil of spring/piston (and Nitro Piston) air rifles. So this scope is definitely airgun rated! I continue to be impressed with the clarity and general image quality of Leapers scopes - particularly at their relatively low prices. Contrast, sharpness, color correction and spherical aberration are all well controlled in the samples I've checked. Leapers provides emerald coating on the objective lenses and this certainly helps the performance. Archer Airguns has this new Leapers airgun scope in stock, together with the other members of the Leapers airgun scope range in our store. 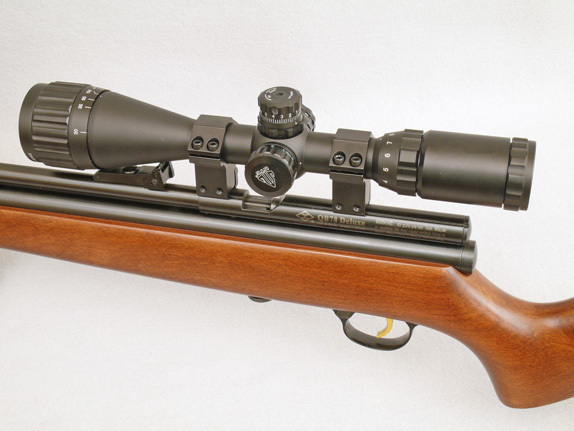 We will have the new Leapers 3-9 x 32AO airgun scope in stock also as soon as it's available from the manufacturer. David Ding - the owner of Leapers - stresses his commitment to the airgun market every year I talk to him at the SHOT Show. I'm very pleased to see that he matchs his words with actions and that his company continues to offer an attractive range of scopes to airgunners. Thank you David! Fitting Weaver Base Rod Dot Sights to Crosman Steel Breeches. Red dot sights are very suitable for use with Crosman 1377 and 2240 type air pistols. But the vast majority of these sights are supplied with Weaver bases. So what's the best way to mount a red dot sight on a 1377 or 2240? This photo shows a Leapers Red/Green Dot Sight (Model SCP-DS3068W) mounted onto a 1377 with steel breech and using the Leapers DTP Adapter. Yes, there's just space to load a pellet! 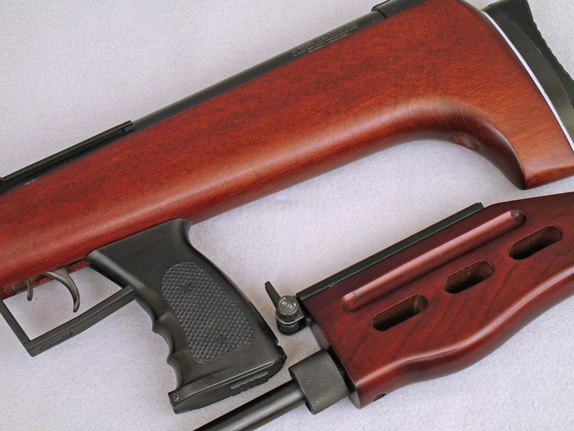 Step one is to fit a Crosman Steel Breech to your pistol as this gives considerable added strength to the pistol. It also provides long airgun dovetails for mounting optics. Step two is to use the Leapers Dovetail to Picatinny Rail Adapter. 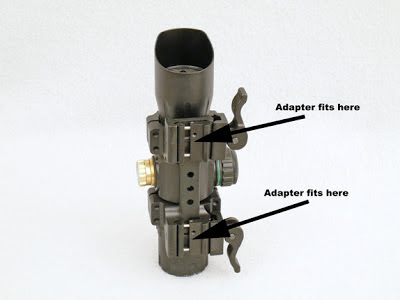 This comprises two tiny adapters that fit inside the Weaver bases of a red dot sight (or scope rings). When the Weaver base is clamped into position, the adapter fits tightly onto the dovetails. The result is almost invisible and it works perfectly! 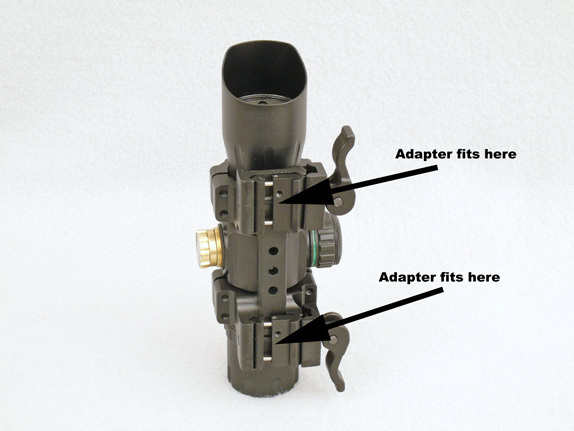 The DTP Adapter parts fit into the Weaver mounts of the red dot sight like this. 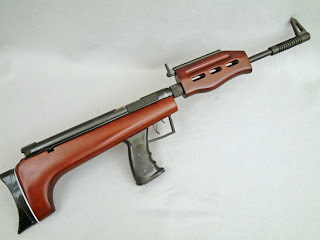 I tried fitting other types of Weaver adapter to the Crosman Steel Breech and - while they did work - the height of the adapters caused the pistol to shoot low, in some cases outside the elevation range of the red dot sight used for the test. This was particularly noticeable at close ranges - 5 to 6 yards - and this gives the Leapers DTP Adapter a big advantage as it is so shallow.